Paris : The two most common chronic lung diseases claimed 3.6 million lives worldwide in 2015, according to a tally published Thursday in The Lancet Respiratory Medicine. About 3.2 million people succumbed that year to chronic obstructive pulmonary disease (COPD), caused mainly by smoking and pollution, while 400,000 people died from asthma. 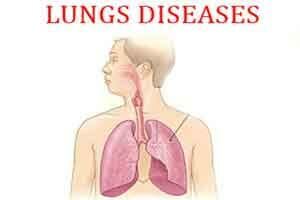 COPD is a group of lung conditions including emphysema and bronchitis that make it difficult to breathe. Asthma is twice as prevalent, but COPD is eight times more deadly, the study found. Both diseases can be treated affordably, but many sufferers are often left undiagnosed, misdiagnosed or under-treated. COPD was the fourth-ranked cause of death worldwide in 2015, according to the World Health Organization, behind heart disease (nine million), stroke (six million) and lower respiratory infections (just over 3.2 million). Researchers led by Theo Vos, a professor at the Institute of Health Metrics and Evaluation at the University of Washington, analysed data from 188 countries to estimate, in each one, the number of cases and deaths annually from 1990 to 2015. COPD prevalence and death rates declined over that period, but the overall numbers increased with nearly 12 percent more deaths because of population growth. For asthma, prevalence went up by almost 13 percent to 358 million people worldwide, but the number of deaths dropped by more than a quarter. “These diseases have received less attention than other prominent non-communicable diseases like cardiovascular disease, cancer or diabetes,” Vos said in a statement. The countries with the highest concentration of people disabled by COPD in 2015 were Papua New Guinea, India, Lesotho and Nepal, the study showed. For asthma, the biggest disease burdens were found in Afghanistan, the Central African Republic, Fiji, Kiribati, Lesotho, Papula New Guinea and Swaziland. High-income Asian nations were least affected by COPD, along with countries in central Europe, north Africa, the Middle East and western Europe. Central and eastern Europe, along with China, Japan and Italy, had among the lowest rates of asthma. “This study is a timely reminder that we must refocus our efforts to combat this dangerous disease,” Neil Pearce, a professor at the London School of Hygiene & Tropical Medicine, commented, referring to asthma. “We still know very little about the causes of asthma, and why rates are increasing worldwide,” he added. Smoking is known to aggravate asthma, as are allergens, whether indoors or in nature. Indoor cooking is also a major culprit for chronic lung diseases, the authors noted.